And Stunt Show For All The Family. Experience, watch and learn slapstick comedy techniques of the silent movie legends and silver screen. From stars like Buster Keaton, Harold Lloyd, Laurel & Hardy as well as modern day clowns such as Mr Bean, Jim Carrey and Lee Evans. Mr Prig, Sam Man, Tim Wit and Plug. We all have accidents, And these clowns certainly do which results in BIG laughs. They react, retaliate and respond to each other using clown props such as rubber frying pans, plumbers wrenches, hammers and fake bricks to sort out their differences. Chaos ensues as they try to get achieved what is required from Mr Prigg (The Boss). He is never far away and brings even more chaos to the mix. A well deserved break is taken … this allows time for the Slapstick Stunt Academy to be provided for those children that would like to learn the art of slapstick. No one gets hurt, in fact no one’s even touched. Taught by seasoned slapstick professionals. 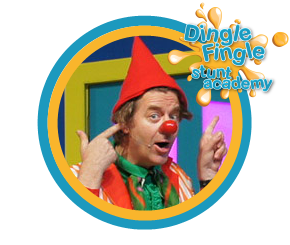 Children learn to how slip, trip, tumble, fall and learn slapstick moves and stunts correctly in a safe environment. 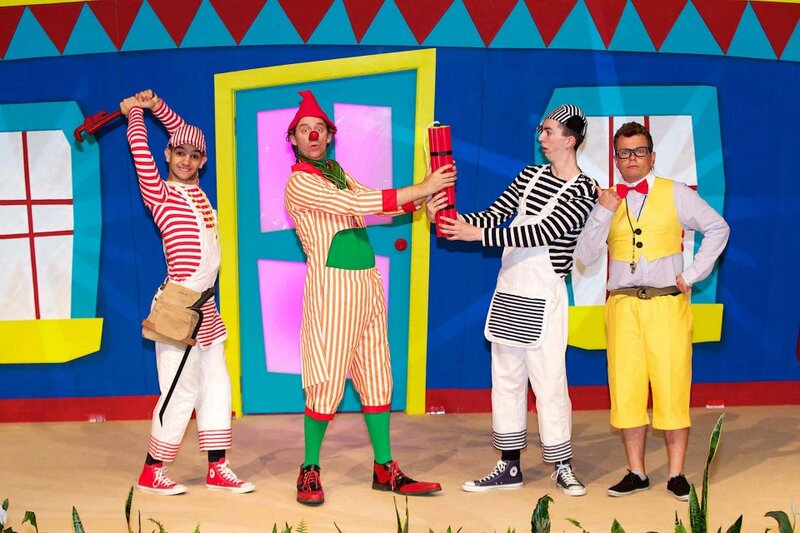 Children are invited on to the stage to learn basic slapstick comedy moves with the tutors. Building children’s confidence and coordination, whilst learning correctly is key to the syllabus taught in the Academy. No one ever gets hurt and the performers / pupils never lay a finger on each other. Other clown skills are incorporated into the Academy for added variety and flavour. Creating confidence for those that partake and laugher for those that spectate! 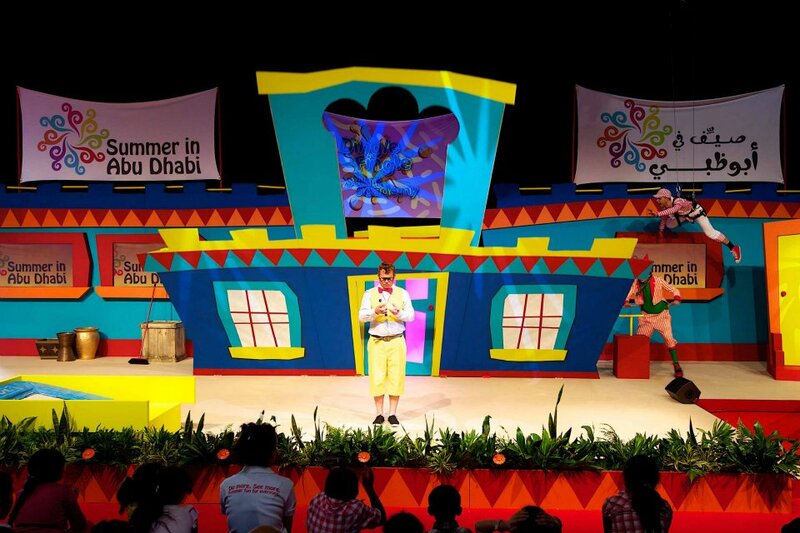 The effect is amazing, much to the delight of the parents and audience, young and old who witness the fun first hand! 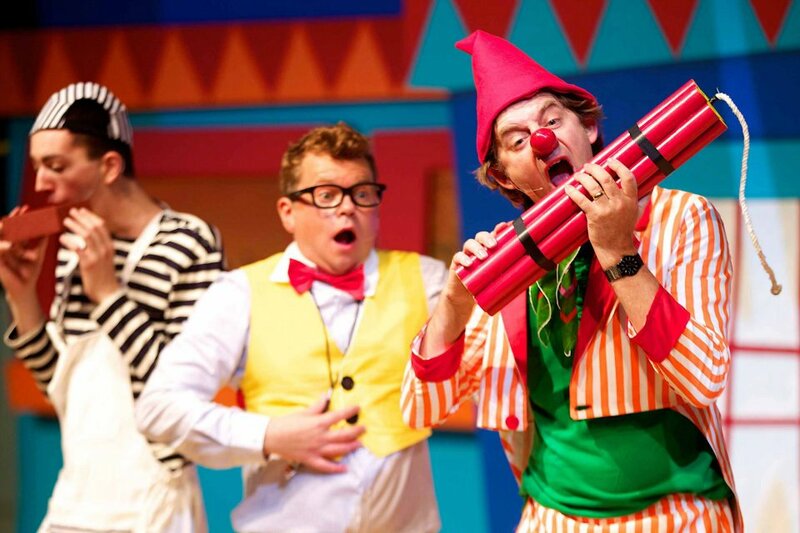 Once the Academy is over it is back to work for our slapstick clowns…. ending up in even more pandemonium as their previous hard work gets blown apart and falls to bits around them. The boss! Keen to get things done around the place – his way as he’s in charge! Head ‘do-zer’. He gets the job done against all adversity. Who is looking for a job, he is prepared to prove him self what ever it takes! Leaving a trail of disaster behind him. An entertaining and educating show or all the family. It can be provided as a full production with sound, lights and the full a ray of props and artistes with full set and backdrop. which is ideally suited to a long performance runs in theatres, theme parks, holiday parks and festivals. Or it can be provided as a quick instillation show as a small scaled down version suitable for shopping centres, community centres and venues that require quick get in get out. A total of 30 brilliant minutes of fast paced quality entertainment. 4/5 times a day. 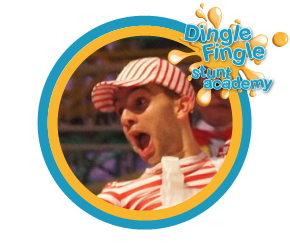 With International appeal then Stunt Academy allows children the chance to learn slapstick stunts and clown moves correctly in a safe controlled environment. 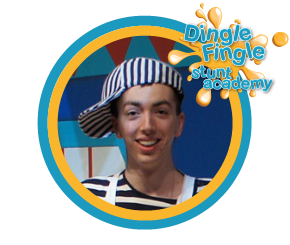 The Slapstick Stunt Academy was produced in association with Dingle Fingle, Terbell Ltd and HQ Creative.